The American Kennel Club is the largest single purebred dog registry in the USA. Currently the AKC recognizes 153 dog breeds, but there are others struggling to become recognized AKC dog breeds across the country. Worldwide registry programs show over 400 dog breeds, so why does the AKC recognize so few? Sometimes there simply isn't enough interest in a breed to merit recognition. If total numbers of a rare breed are very low in the USA, AKC doesn't see the need for it. Learn what the process is like to make a breed eligible for recognition. Rare breeds hoping to one day become recognized AKC dog breeds must first be sponsored by a National Breed Club, otherwise referred to as a parent club. The purpose of the parent club is to bring the breeders together, form a breed standard, and begin breeding for dogs that match that standard, building a viable breed population that can sustain itself without the introduction of further breeds into the gene pool. Individual rare breeds applying to be recognized by the AKC must be recorded through an accepted registry, either by the National Breed Club set up for that rare breed or through the AKC Foundation Stock Service. This provides a way to accurately track numbers as the breed's population grows. At last check, there were actually 49 rare breeds listed with the Foundation Stock Service. While the registry furthers the breed's goal of becoming one of the recognized AKC dog breeds, not all rare dogs breeds will make it all the way to full AKC recognition. Sometimes interest wanes, and breeders give up breeding. Without a driving force, the rare breed progresses no further. A written breed standard approved by the parent club. 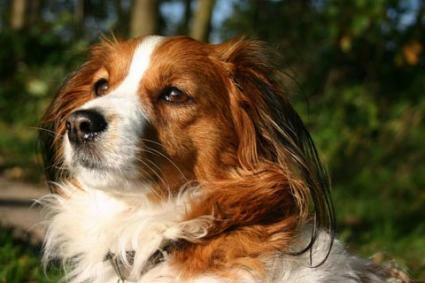 A history of the breed's evolution, including mention of any breeds that were combined in an effort to produce the current specimens of the breed. Photos of the dogs representing the way the parent club believes the breed should look. All of this information is turned over to the Staff Executive Committee which will take everything into consideration and either deny or allow the rare breed to move forward with the recognition process. If the rare breed is accepted into the Foundation Stock Service, the parent club can then apply for permission to compete in the Miscellaneous Class at AKC dog shows. To be approved, certain conditions must be met. The parent club must have a minimum of 100 active members, and the registry must contain at least 300 dogs of the rare breed. Each of these dogs must have a three generation pedigree on record, and all dogs listed within those pedigrees must be actual specimens of the rare breed itself, not any of the foundation breeds that were used to create the rare breed. The registry must also show a wide distribution of the breed across the USA, at least in twenty states. AKC representatives will make observations of the breed, and a final decision will be rendered whether or not to allow competition at this time. If competition is approved, most rare breeds will spend anywhere from one to three years competing in the Miscellaneous Class, as AKC tracks the breed's growth and participation in the competitions. In the meantime, the National Breed Club is also expected to grow and hold practice matches, eventually working up to national specialty shows. The club is also expected to hold judge's workshops to help educate AKC judges about the breed's desired conformation and disposition. It's a long road, but if all the requirements are fulfilled along the way, a rare breed can move through the process to become one of the fully recognized AKC dog breeds, with rights to full registration, and competition in regular AKC dog show classes. Admiration must go out to the individuals work so long and hard to achieve this recognition. Without them, where would the world of purebred dogs be?